This necklace includes 5 circles with beads in the middle. I designed the necklace and the earrings to be fresh and modern. 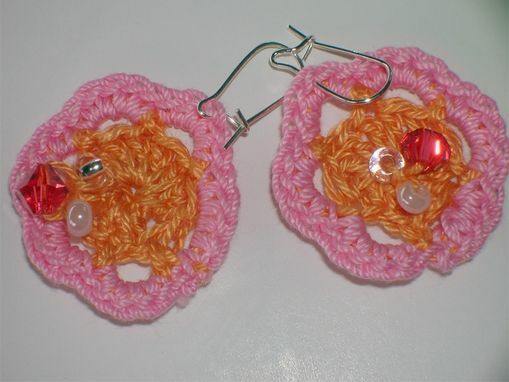 These are one of the examples from my creative crochet jewelry items. 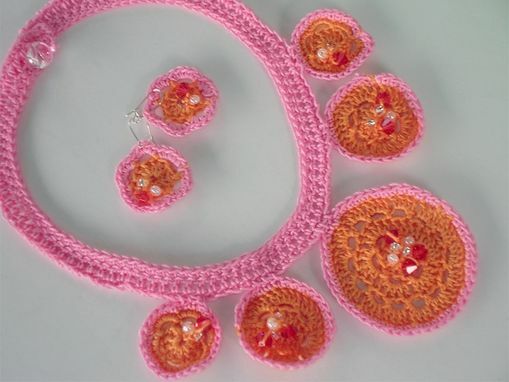 They are made from cotton crochet and Czech glass beads. 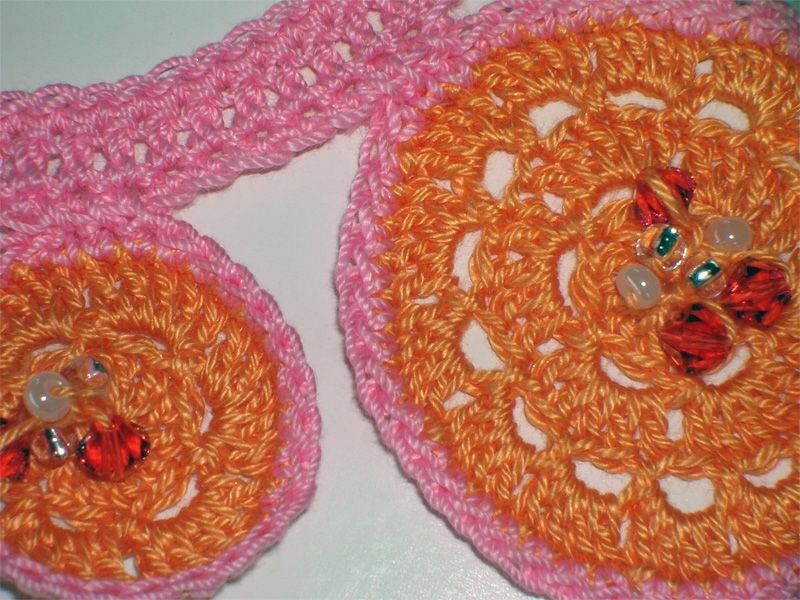 The necklace and earrings can be made in many colorways and with variations.